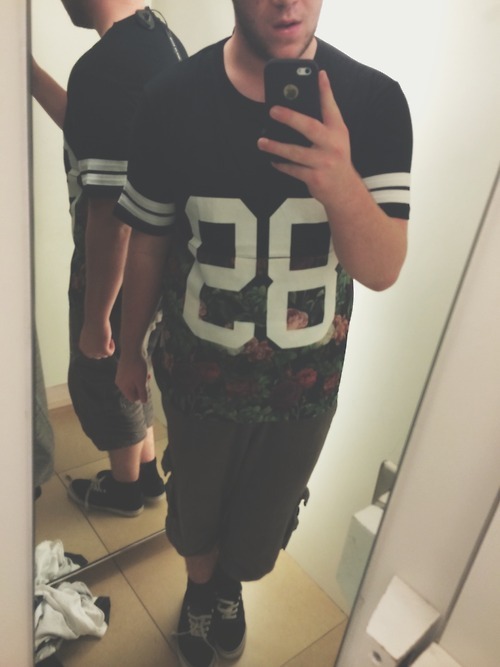 So, today I decided to go to River Island to treat myself to some new clothes. 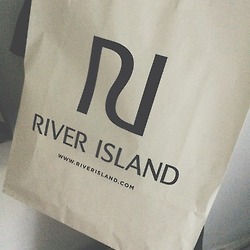 I LOVE River Islands style of clothing and I don't go there as much as I would like to! It's definitely my favourite High Street Clothing store, but it's very expensive so I can't afford to go there all the time. The store was very quiet at the time, so I had the mens section of the store all to myself. I hate it when stores are packed with people, as it makes me a bit claustrophobic so I was delighted when it wasn't. 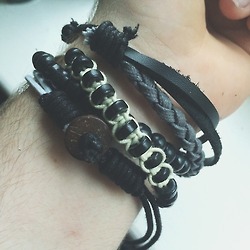 I didn't buy all that much, only 2 sweaters, a jersey and some bracelets. 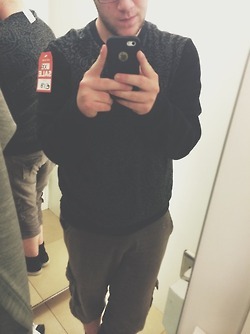 (please ignore the price tags I took these in the dressing room awkward). 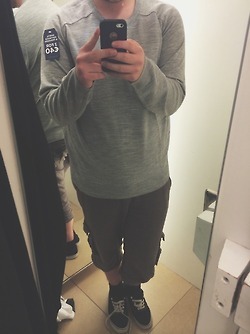 Overall I'm very happy with my purchases today. 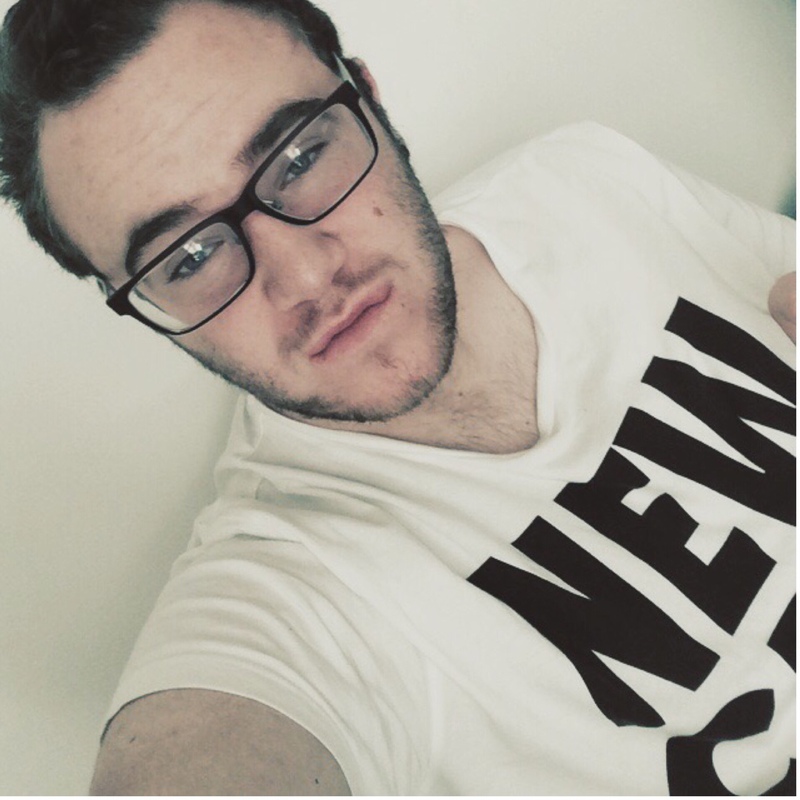 I saved up a lot of my own money to finally buy some River Island clothes and I'm delighted with the result. 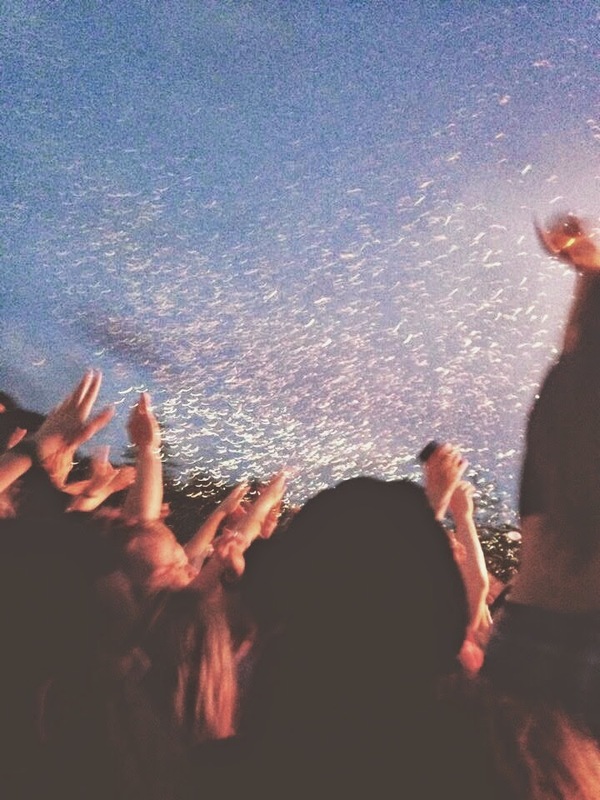 Macklemore & Ryan Lewis concert at Marlay Park. I AM STILL THINKING ABOUT THIS CONCERT OMFG. Even though it was a week ago today. 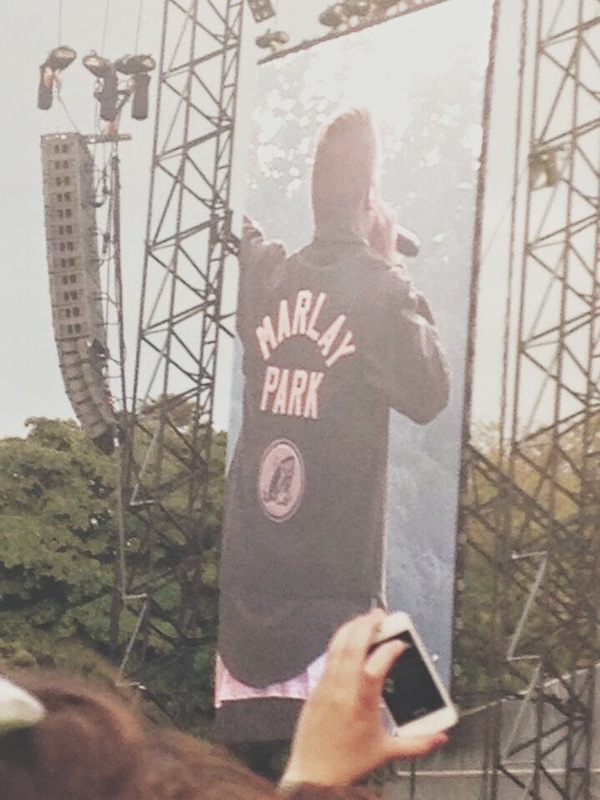 Me and 8 of my Friends decided to go to Macklemore who was preforming in Marlay Park, Dublin, on the 10th of July. We planned on staying the night in Dublin, and shopping before we came home the next day. I was unbelievably excited the morning of the concert. I had his album 'The Heist' on repeat the whole morning and the whole bus up to Dublin (Which was 3 hours btw). 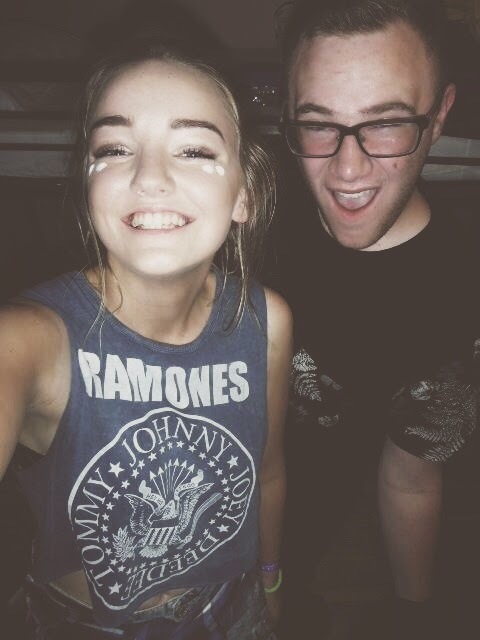 Ellie Goulding was his opening act and she is an amazing artist, so that got me even more excited. We got the 9am bus to Dublin, and we arrived at about 12pm, so we decided to get some Lunch. Dublin has some really nice restaurants, but naturally being teenagers, we wanted to go somewhere cheap that wasn't McDonalds. 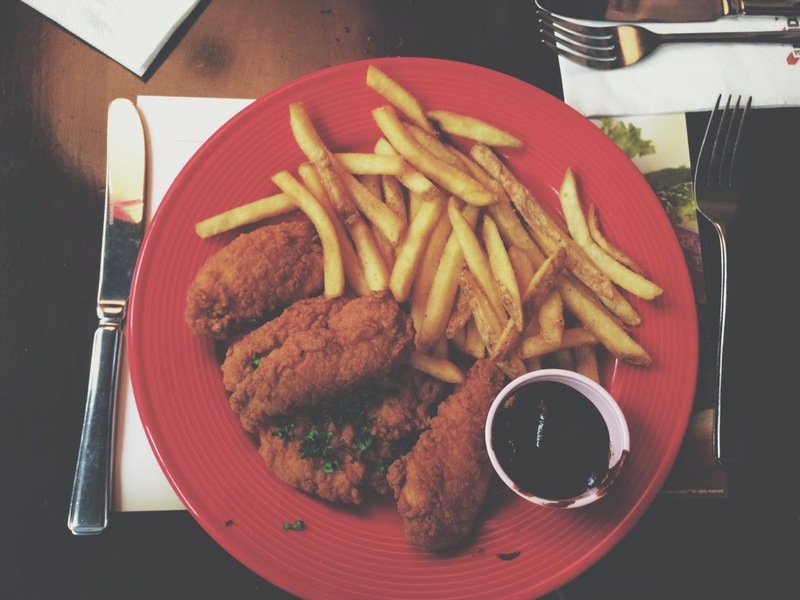 We decided to go to a lovely restaurant called TGI Fridays on Grafton Street in Dublin. I got the Chicken Strips with chips and BBQ sauce, and I must say it was gorgeous and really cheap. Plus we got free refills, how unreal? The atmosphere at the concert was UNBELIEVABLE. 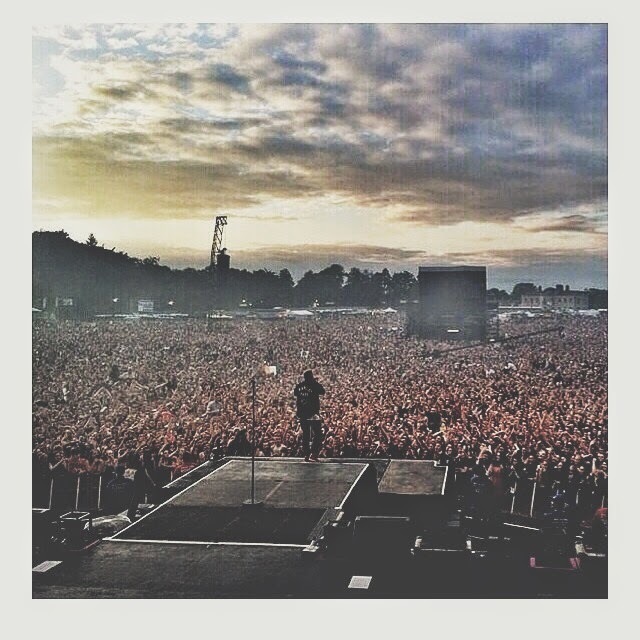 About 37'000 people were at this concert and we were all equally excited. My friends and I were extremely lucky to be close to the stage. Ellie Goulding came on at 8pm and the crowd went crazy. She is such an amazing singer! She sang a good few songs from both her albums, but the stand out songs were Lights, Ritual, Figure 8, Burn, Starry Eyed and Anything Can Happen. She was phenomenal! At around 9pm, Macklemore came on stage. The crowd was absolutely buzzing. He introduced himself and Ryan, and told the crowd how this was his biggest concert yet. He played all of his biggest songs, including Thrift Shop, Cant Hold Us, Same Love, Wing$, And We Danced, Irish Celebration and Otherside. He was such a good preformer, and really worked the crowd. We were buzzing and it was a brilliant night. 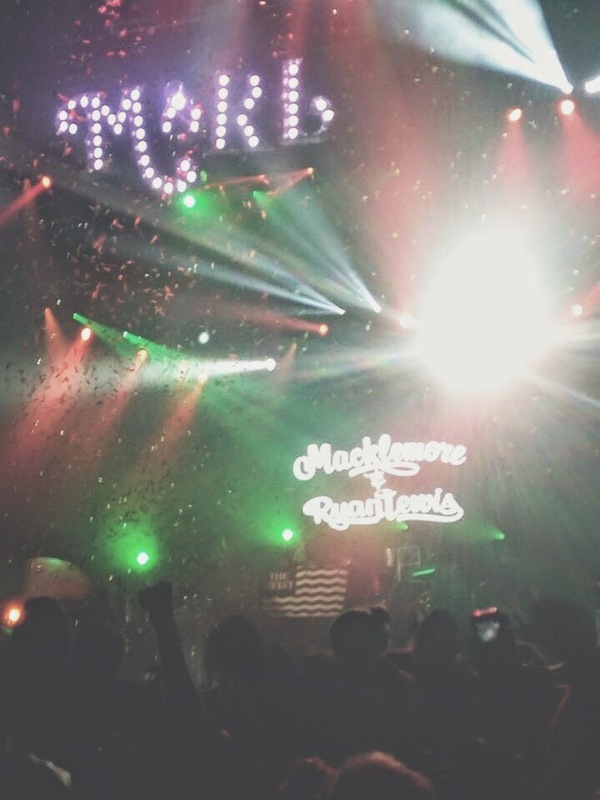 If Macklemore ever has a concert near you, GO TO IT.